Two new studies from Harvard University reveal how changing environmental conditions around the globe could negatively impact the health of millions of people by altering the quantity and quality of key crops. Two newly published studies from the Harvard T.H. Chan School of Public Health reveal Changing environmental conditions around the globe caused by human activity could negatively impact the health of millions of people. One study found that decreasing numbers of food pollinators such as bees — falling in part because of pesticide use and habitat destruction — could lead to declines in nutrient-rich crops that have been linked to staving off disease. The second found that increasing levels of atmospheric carbon dioxide (CO2) could lead to lower levels of zinc in food and thus to much more zinc deficiency. The study about pollinators appeared in The Lancet and the study about zinc in The Lancet Global Health, both on July 16, in conjunction with the Rockefeller Foundation-Lancet Commission on Planetary Health report, “Safeguarding Human Health in the Anthropocene Epoch,” which broadly assessed the scale of the threats to health, development, and civilization posed by the multiplicity of environmental changes brought on by human activity. “This is the first time that the global health community has come out in a concerted way to report that we are in real danger of undermining the core ecological systems that support human health,” said Samuel Myers, senior research scientist in the Harvard Chan School’s Department of Environmental Health, the senior author of the pollinator study and lead author of the zinc study. Myers, a commissioner and co-author of the report, spoke on a panel about environmental change, its drivers, and health impacts at a Planetary Health Commission launch event on July 16 at the Rockefeller Foundation in New York City. In the study of pollinators, Myers and his colleagues looked at people’s dietary intake data for 224 types of food in 156 countries around the globe to quantify total per capita intake of vitamin A, folate, fruits, vegetables, nuts, and seeds under various pollinator decline scenarios. They then estimated the potential health impacts of declines in pollinators — mostly bees and other insects. Pollinators play a key role in roughly 35 percent of global food production and are directly responsible for up to 40 percent of the world’s supply of micronutrients such as vitamin A and folate, which are vital for children and pregnant women. Over the past decade, there have been significant declines in animal pollinators worldwide. The researchers found that the complete loss of animal pollinators globally would push an additional 71 million people into vitamin A deficiency and 173 million more into folate deficiency, and lead to about 1.42 million additional deaths per year from non-communicable diseases (NCDs) and malnutrition-related diseases — a 2.7 percent increase in total yearly deaths. A 50 percent loss of pollination would result in roughly half that impact, the researchers found. Most of this burden of disease would result from reduced consumption of foods that protect against NCDs such as heart disease, stroke, and certain cancers. Unlike the populations frequently impacted by environmental degradation, many of the most vulnerable populations are in relatively developed countries. Researchers found that those most vulnerable would be in eastern Europe and in central, eastern, and Southeast Asia, where risks of NCDs are high and intake of fruits, vegetables, nuts, and seeds is highly dependent on pollinators. The study also found that most of the estimated pollinator-related disease burden had to do with locally produced crops, not imported ones. “This means that most countries can benefit greatly by managing their own pollinator populations, protecting both their public health as well as crop yields,” said lead author Matthew Smith, research fellow in the Department of Environmental Health. For the study on zinc, the authors modeled how much zinc would be available to people through diet in 188 countries, under both current and elevated levels of CO2. They noted that zinc is a key nutrient for maternal and child health — too little leads to increased risk of premature delivery, reduced growth and weight gain in young children, and decreased immune function. Roughly 17 percent of the global population was estimated to be at risk of zinc deficiency in 2011, according to recent studies. 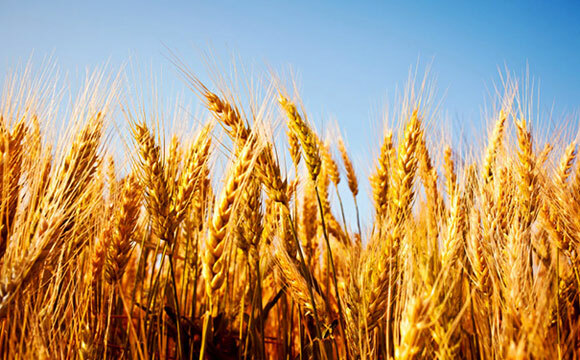 Citing previous research that found that elevated concentrations of atmospheric CO2 lower the content of zinc and other nutrients in important food crops such as wheat, rice, barley, and soy, the authors estimated that CO2 emissions caused by human activity could place between 132 million and 180 million people at new risk of zinc deficiency by around 2050. Those most likely to be affected live in Africa and South Asia, and nearly 48 million people in India alone — populations already burdened with the world’s highest levels of zinc deficiency, and reliant on crops for most of their dietary zinc. The authors suggested possible interventions for those at highest risk for zinc deficiency, such as zinc supplementation, fortification of staple foods with additional zinc, the application of zinc-containing fertilizers to crops, or the development of bio-fortified strains of crops such as rice and wheat. Other Harvard Chan School authors of the zinc study included Joel Schwartz, professor of environmental epidemiology; and Itai Kloog, former visiting scientist, and Antonella Zanobetti, senior research scientist, both in the Department of Environmental Health. Be the first to comment on "Harvard Reveals Quality and Quantity of Key Crops is Changing"